It is mid winter and ski season is in full swing. This week’s event is called GRAND ROCKY MOUNTAINS TOUR better known as American Rockies Tour offering extremely challenging approaches!!! We pick up at CYYC Calgary International Airport (originally named McCall Field) the hard working Calgary citizens who are just starting their well earned ski vacations away from their offices by flying them to KJAC Jackson Hole Airport, then from KJAC Jackson Hole airport to KASE Aspen–Pitkin County Airport, and then back home from KASE Aspen–Pitkin County to CYYC Calgary at end of their one week Rockies Tour vacation!! KJAC Jackson Hole Airport has been named third in a survey conducted by PrivateFly.com in 2011 as one of the world's TEN best airport approaches!!!! 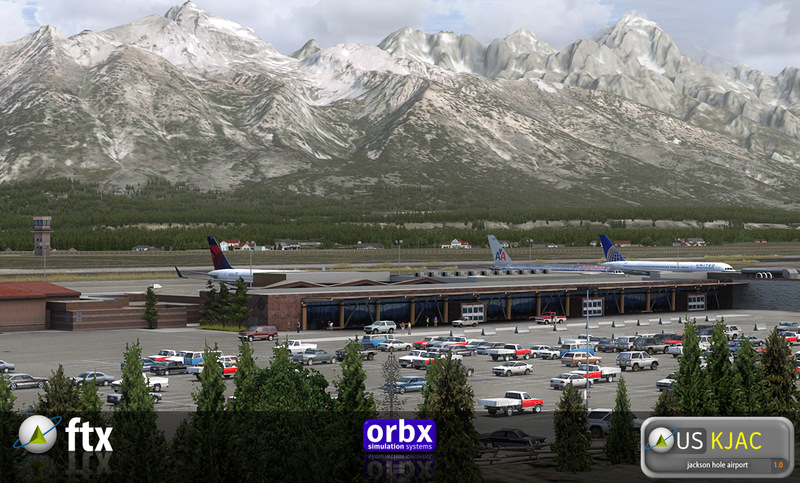 KASE Aspen–Pitkin County Airport has been named as one of most DANGEOUS airports to land!!! Actually KASE ranked seventh most dangerous airport in the world to land!!! The Roaring Fork Visual into RWY15 at Aspen via Castle Peak is actually CRAZY and HAIR-RAISING approach!!!! The choice of aircraft is yours although class 3 as airlines is used on those airports. Next weeks multi will take us to resurt flight in southeast Asia.